Michael E. Porter is one of the world’s foremost authorities on competitive strategy and an expert in relating his academic research to the areas of leader development and management theory. 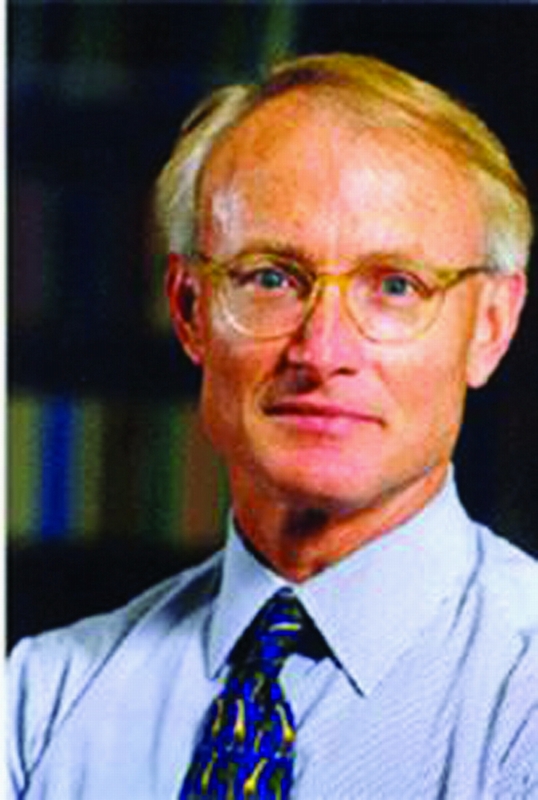 Michael E. Porter is the Bishop William Lawrence University Professor at Harvard Business School. He is the author of 17 books and the creator and chair of The New CEO Workshop, a program for newly appointed CEOs of billion-dollar corporations. Porter’s foundational ideas on competitive strategy and leadership are taught at virtually every business school in the world. He frequently works with global issues and recently devoted considerable attention to understanding and addressing the problems in health care evident in the U.S. and abroad. I love seeing the surprise in speakers at the quality of the Summit. How do you do well at doing good? Very hard. Our activities need to be effective. Starting looking at web sites in WCA and found an astonishing number of organizations trying to do good in all kinds of areas. Great commitment, passion and money. It’s one of the things that makes America great after being all over the world. Americans don’t wait for government to come in and help. But too many organizations get involved in a lot of things are reactive and unfocused so they don’t get truly good results. Tragic because so many real needs. We need strategic thinking to do this well. Too often in churches and other such organizations the strategy switch gets turned off. At best often ineffective, but sometimes make things worse. Think in terms of results. The right mind set is not philanthropy but delivering a service to a customer (someone you’re trying to help). Have to think about how to add value to that customer. Too often the help is more about the congregation than it is about the recipients. The act of giving is laudable but not an end itself. Question 1: Have we really defined clearly what our goals are? Goals for serving the community are not obvious. What’s the goal a homeless shelter? House people for one night or year? Do we want to help them not be homeless anymore? Goals determine strategies. Social benefits per dollar expended. The alternative is to give the money or volunteer time to a pro and let them do it. Society is taking a ride with us if it’s tax deductible. Have to measure how well we’re doing. Question 2: What set of community services and needs are we going to try to address? More is not better! Tend to go with everything people want to do and not actually achieve any benefit. There are thousands or worthy causes. Worthiness is not the basis of choosing because all causes are worthy. Part of choosing has to do with passions, but not the final basis. It has to be based on where you can add the most social benefit/value with the resources you have. For example, what if you discovered that it cost you $100 for each meal you feed a homeless person? Send them to a restaurant! Series of questions to narrow down: What are the most important needs in your community? Other communities you care about? What other organizations and institutions are available to meet those needs? If someone else is doing a great job, support them rather than duplicate and fragment the help. What capabilities and resources do we have as a congregation? Talents, connections, etc. Where can we do more than just giving money (and unskilled labor)? Key question. It’s great when a Ph.D. financial professional goes out and builds a house, but is this the best use of their time and talent? Maybe they can work with city leaders to help with strategies to help the poor. Where do we have passion because can’t sustain it without it? Can we get some synergy? Question 3: In each area, what’s our strategy? Most organizations can’t articulate it. Essence of strategy is how to create maximum value for that population. First, have to avoid three traps: Confuse strategy with the goals. Strategy addresses how. Focus on only one part of the strategy. Feel satisfied with high minded but not strategic statement. To create strategy have to be clear/specific/exact about the goals. Make sure you have a solution model that makes sense. Relief or development? Both legitimate but be clear about which one. Need sustainable solutions. Have to think systemically about what needs to be done to address this social need. Best providers focus on structure and systems (a value chain). For example, in HIV/AIDS care, most cost effective to have workers go to homes to make sure the medication is taken twice per day so not build immunity. And have to think about related diseases and health issues. Things that get in the way of strategic choices: Lack of clarity in goals. Multiple, conflicting goals and no consensus. Driven by passion/personal preferences and not effectiveness. No attempt to measure performance or costs. Inability to make trade-offs. Inability to stop anything. Question 4: How do we create alignment? How do we get the congregation aligned around these choices? Government can’t solve all the problems and meet the social needs. We will have to solve the problems in our communities and other needy communities. Leaders must see positively impacting our communities as core to our mission and can’t focus on just what happens in church. Leaders job to mobilize the congregation to do good. But leaders have to do this well with real strategic thinking.